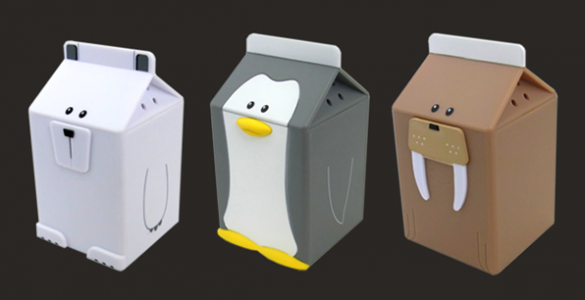 If you ever thought that your fridge lacks the cuteness factor, these little animals are the best treat to give yourself. They can also be an excellent gift for a friend, any type of friend as well as being an excellent addition to your fridge. Besides being cute, they are also extremely useful because they actually interact with their owner. Do you feel lonely in the morning? These cute little things will greet you every morning you open the fridge, but it doesn’t end here. Let’s say for example that you are making breakfast and you leave your fridge door open. What these little animals will do is that they will tell you that you need to close the door to your fridge. They have a light sensor that can trigger a certain phrase or sentence. They are also eco-friendly because when you leave your fridge door opened you are actually wasting a lot of energy. Did we mention they are cute? We will mention it again because they also come in different shapes. You can opt for a cute cow, a pig, a cat, a dog or a cute bear, all shaped like milk cartons with a cute twist to it. The phrases triggered by these little cute things are in Japanese so you might want to learn a bit of Japanese before actually buying them. However, they are still cute even if you don’t speak the language. But be prepared, because if you don’t respond to their urges they will repeat their jolly greetings again and again until you decide to close the door. If you want something as useful as it is cute the Fridgezoo Fridgepets are a lovely addition to your household and they can become your children’s favourite reminders to keep the fridge door closed and avoid any unnecessary waste.